Natural beauty, but not a lot of anything else is offered to visitors. This is not a bad thing, it is what many Yucca Valley residents want in life and though this town is known as a pass through town, it is a great place to live and work for its residents (most residents must travel out of the town for work). 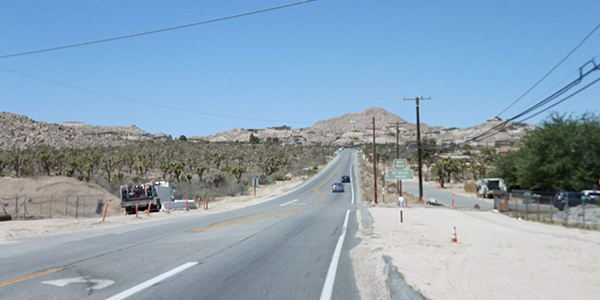 Why do we call Yucca Valley a “pass through town”? People travel into and out of the Morongo Basin on State Routes 247 and 62 everyday much more on weekends and holidays, but they are either heading into the Coachella Valley, Palm Springs Area for work of pleasure or visitors are heading through the town of Yucca Valley to the Twentynine Palms Marine Base for work, as the base has a sizable amount of personal that live off base and report there for work. We have a community college named Copper Mountain College or as we say around here CMC located at the base of the beautiful Copper Mountains in Joshua Tree, California. The military utilizes the State Route 62 for transportation of heavy military vehicles (great to view, we love these mighty defender vehicles), personal Marines on buses for deployment and training as well as weekend travel of Marines off duty heading out to the Coachella Valley and beyond to Los Angeles and San Diego Counties and the night life those places offer. The Joshua Tree National Park draws over 3 million park visitors annually many in buses and even more in personal vehicles. These exploring people might stop for a meal or mainly fuel and groceries before entering the Joshua Tree National Park for a few nights and some come for an extended stay. Still more utilize staying in week long or weekend rental properties and some stay at one of our great, yet simple hotels or motels, camp grounds or the RV Park. 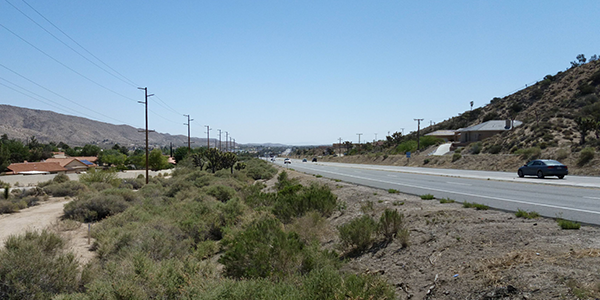 There are about 6 hotels located in the Town of Yucca Valley. People pass through on their way to The Colorado River and Lake Havasu a man made lake where water is held from behind Parker Dam creating a wonderful elongated resort community. The Parker Dam is yet another place Lance went often with the same fellow aerospace family to enjoy life at a water spot.